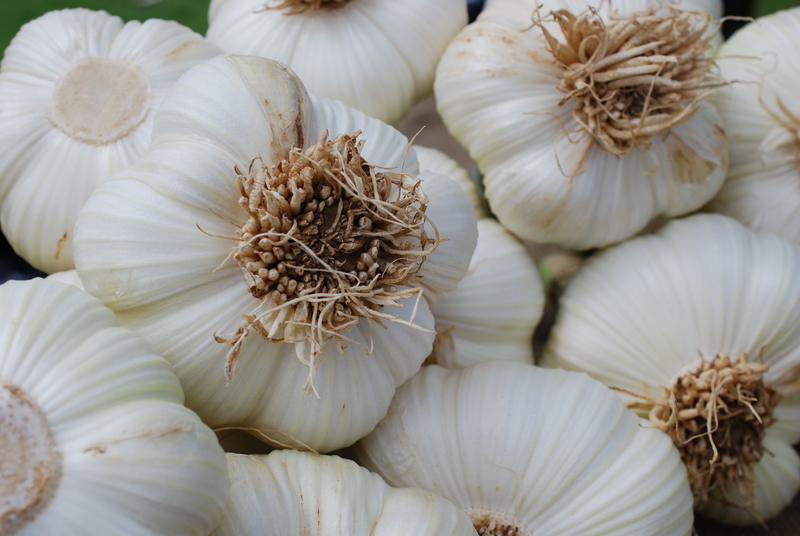 I love the flavour of garlic but when it came to think about what to grow on the plot I realised that I really didn’t use it that much of it, certainly not enough to justify giving over one of our raised beds to it for eight or nine months. However earlier this year whilst on holiday in Dubai we went to a restaurant called Hakkasan for dinner and ordered a super delicious side dish of garlic shoots in XO sauce. The ‘shoots’ the dish refers to are the garlic tops or flowers from hard neck garlic varieties and are more commonly known as ‘scapes’. Steamed or stir fried they are almost like asparagus in texture and have the most delicate garlic flavour. The Garlic Farm sells them for the very short time they are in season in early summer, at the events and markets they attend but to be sure to get some it it seems a far safer bet to ‘grow your own’. As what is in effect a by product of growing garlic there is no difference in the method of cultivation and they are ready to harvest when the shoot it still curly leaving the bulb in the ground to carry on growing. We have planted varieties Lautrec Wight, Chesnok Wight and Edenrose which came from Thompson & Morgan and their growing advice sheet is here. Took me a couple of years of garlic growing to realise that the scapes were edible, not just an annoying habit the plants had of trying to flower when they should have been making bigger bulbs! Now I look forward to them forming.